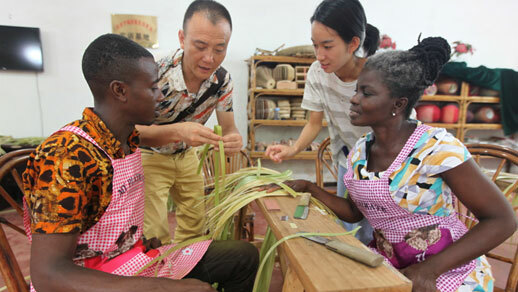 Editor's note: Nineteen students from Ghana are attending a two-month bamboo-weaving technology training class held in the Qingshen Bamboo Arts Town in Meishan City of southwest China's Sichuan Province. The town is abundant with bamboo resources and well-known for its characteristic bamboo handicrafts far and wide. 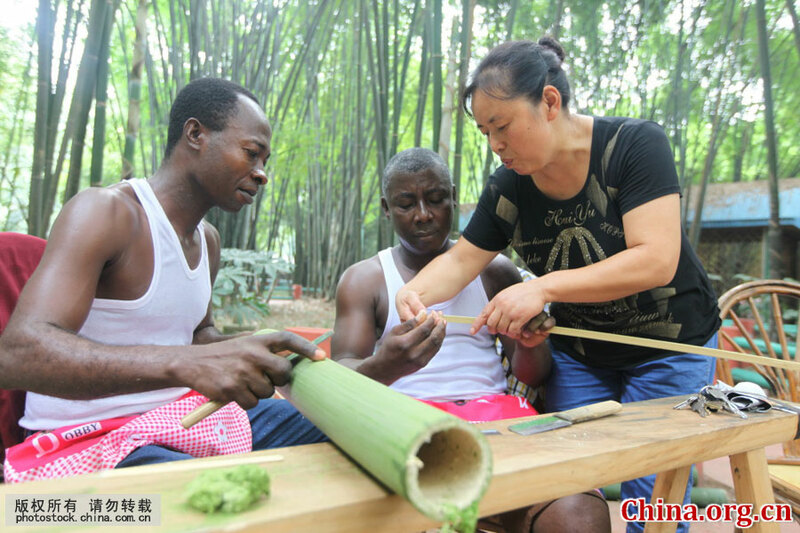 Over the past few years, it has successfully held 26 terms of bamboo and rattan weaving, bamboo and rattan product development and processing technology training classes, attracting 756 students from 78 developing countries, many of whom are government officials. The event is jointly held by the Ministry of Commerce, the International Center for Bamboo and Rattan, and the International Network for Bamboo and Rattan.